After becoming an experienced registered nurse at both the trauma intensive care unit at Banner UMC as well as at TMC in many departments, Josiah decided to make a career change. 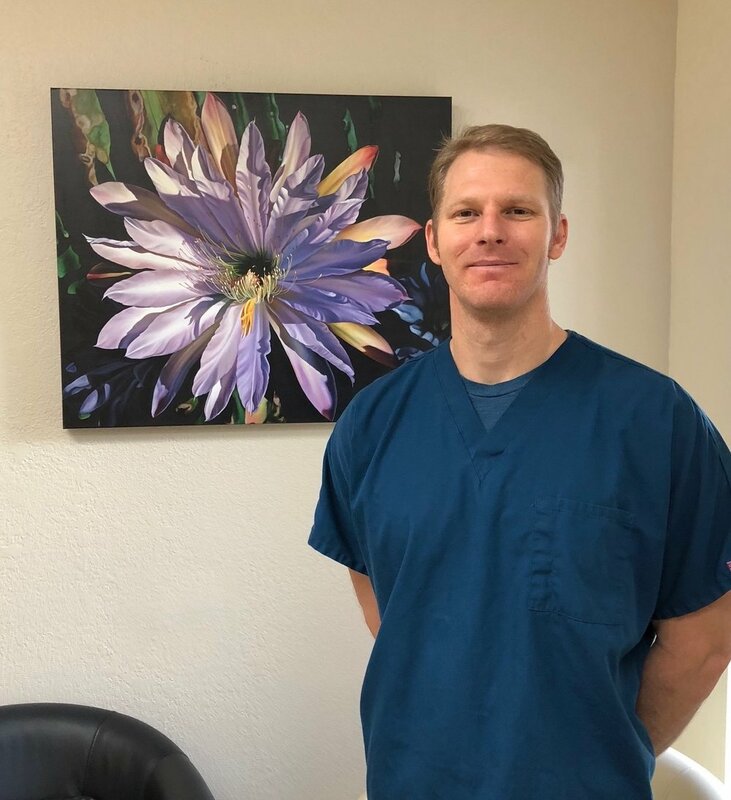 Being frustrated with the hospital model of medicine, where patients are rarely treated with the compassion and support that is needed for true healing, he decided to join naturopathic medicine and has been very happy with this approach. Josiah started at our clinic in September 2017, and has completed training in genetic analysis along with regular review of scientific literature. Josiah is in school to become a nurse practitioner (N.P.) with the hopes of integrating naturopathic care into his future practice as an N.P. Patients regularly comment on Josiah’s compassionate, caring approach to patient care. He currently offers IV therapy, hyperbaric oxygen therapy, genetic counseling, and diet counseling. Please contact our office if you would like to schedule a medical visit with Josiah or either of our naturopathic physicians.